Toys "R" Us may be closing up shop, but several independent local toy store owners say they're doing just fine. Smaller toy stores are able to offer more personalized shopping experiences. They're places where everybody knows your name. And that's a good thing. "We know your family and what the kids in the neighborhood are into right now," said Ann Kienzle, owner of *play, a toy store in Chicago. "We also have events three days a week, things like story time and music jam. We want to make this an experience, and not an errand." Kienzle said it's sad to see Toys "R" Us go under, but she said her store -- which has been open for almost eight years -- had a "fantastic" 2017. Sales rose at a more than double-digit pace from a year ago and the holiday season was particularly strong. Other independent toy owners told CNNMoney that they are also thriving. Michelle Sahr, owner of Off the Wagon Shop in Kent, Ohio, said her sales have grown at an annual clip of between 15% and 40% for the past nine years. Sahr said the key to her store's success is sticking to the basics and not going after every hot toy trend. Sahr said stores like hers have also been able to withstand competition from Amazon and Walmart because many parents aren't going to pinch pennies when it comes to buying toys for their kids. The experience of going to a toy store, getting recommendations and actually being able to play with it before purchasing it means a lot, even if the prices are higher than Amazon (AMZN), Walmart (WMT) and Target (TGT). "Parents can talk to our staff. We familiarize ourselves with the products. We play all the games," Sahr said. "We try to be competitive with Amazon as much as we can but we won't be able to always have the lower price. But we can answer questions, open the box and show you and the kids the toys." Sharon DiMinico, CEO and founder of Learning Express Toys, a company with more than 120 independently owned franchised stores, agreed that local stores need to offer a unique experience and products you may not be able to find at bigger stores. It can't be just about offering the same toys from Hasbro (HAS) and Mattel (MAT) that will inevitably be cheaper to buy from Amazon or Walmart. "We have a few licenses but we don't chase everything that's being advertised on TV. That really hasn't paid off," DiMinico said. "We have to be pretty selective about what we buy." Learning Express Toys started in 1987, so DiMinico has lived through a lot of big shifts in the industry. "We have been able to withstand the growth of Amazon and Walmart," she said. 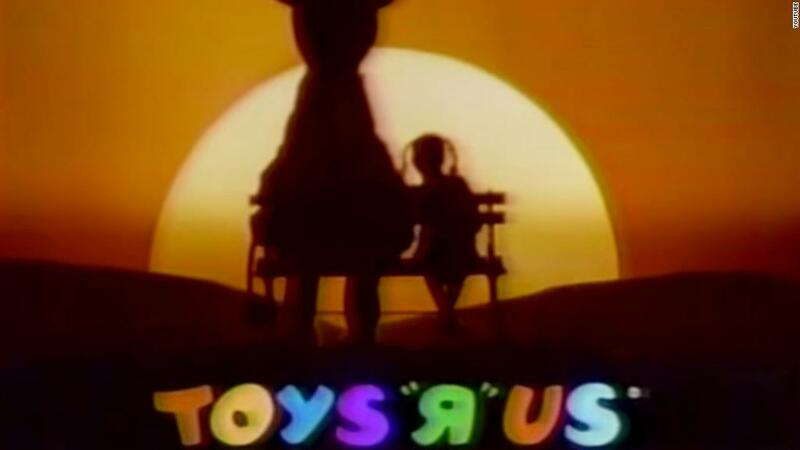 "We've coexisted with Toys 'R' Us for 30 years. I like to think of us as an intelligent alternative in the toy business." For *play's Kienzle, it's also about going the extra mile to make sure customers are happy and keep coming back. "We want to make it convenient for the modern parents. We deliver. People can call ahead and order or text an order. People are paying with Venmo," she said, adding that customers will pay more to support local businesses. "We're never going to win on price. But we hope that customers know they are supporting their neighborhood when they shop small and local," she said. 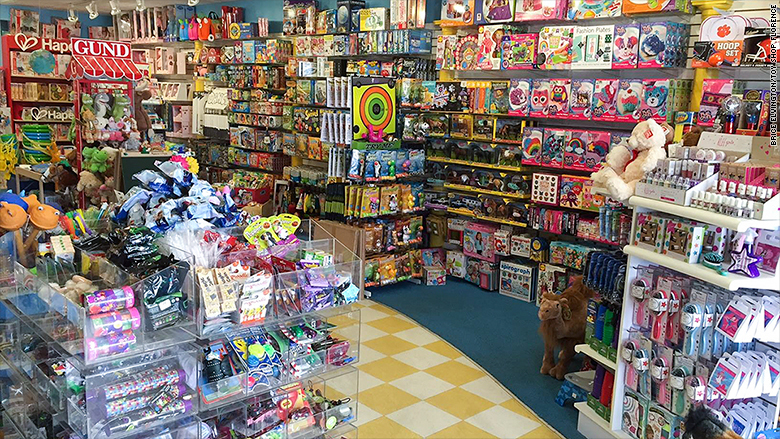 Brice Elvington, owner of Toy Shop Florence in Florence, South Carolina, said another advantage of smaller stores like his is that the focus can truly be on the customer. Toy Shop Florence in South Carolina is doing fine even as larger toy chains have gone under. "We don't have to worry about shareholders and meeting numbers this quarter. We're looking more at the long-term," Elvington said. "And there is huge market share up for grabs with Toys 'R" Us closing." He said sales have grown steadily despite the shifts in the retail industry. "We had a good year last year. Each year better than the last," Elvington said. But he conceded that he understands why harried parents will sometimes prefer the convenience of Amazon. He has two 4-year old twins and a 3-year old as well. However, Elvington -- like the other independent store owners -- said there's something to be said for going to a store and actually playing with the toys. "It's not just about today's sale but giving the customer a good experience -- making it about what the child can do and not what the toy does and helping the child's development," Elvington said. "You're treating kids the way we want to be treated," he added. "It's about how we can make kids smile."